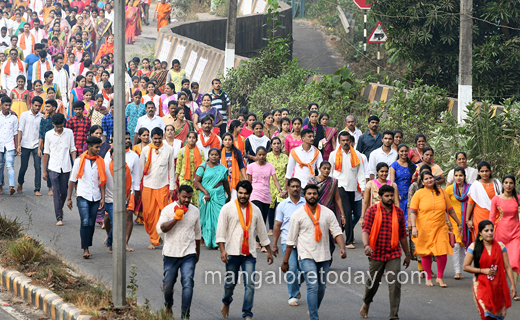 Mangaluru, Feb 3, 2019: Thousands of devotees participated in the sixth "Ammanedege Namma Nade" a Padayatra from Maravoor to Kateel on February 3, Sunday. 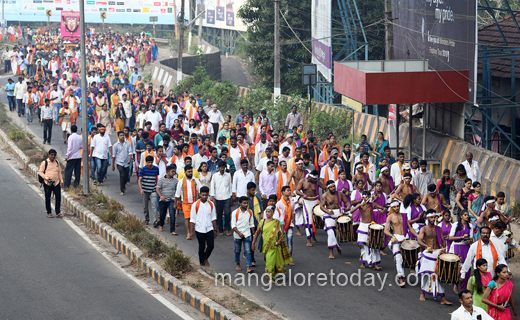 The event was organised by the Kateel Padayatra Samithi. 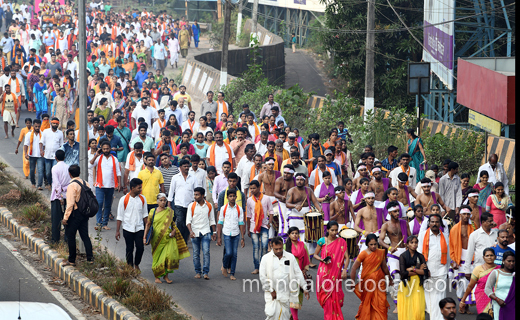 The Padayatra was inaugurated by Harinarayana Asranna, Priest of Kateel Shree Durgaparameshwari Temple. 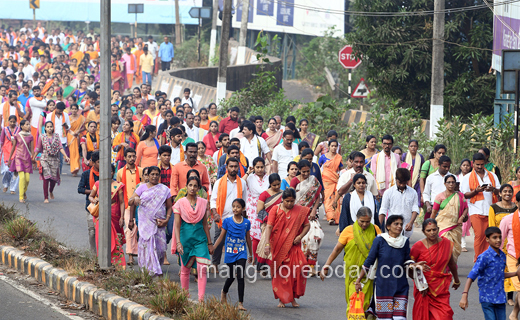 Participants sang prayers and bhajans as they walked towards Kateel. 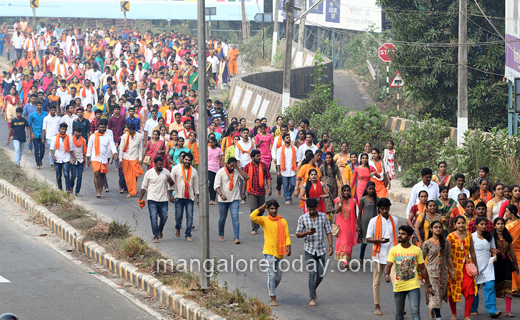 Chende teams were also part of the procession. 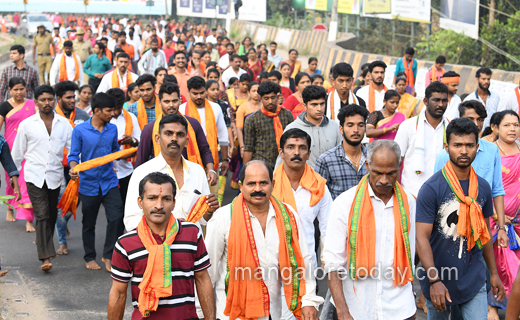 Dakshina Kannada MP Nalin Kumar Kateel, MLAs Umanath Kotian, Harish Poonja, senior RSS leader Kalladka Prabhaker Bhat, Chairman of AJ Institutions A J Shetty, Sharan Pumpwell and others participated in the padayatra. When we go in groups we do not feel the distance . May Mother Goddess shower the blessings on all.